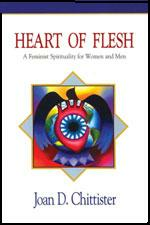 Joan Chittister presents the challenge of feminist spirituality. Conference based on book available as a set of five video tapes. Click below. The book on which the presentations are based is available. Click below.